Supporting the provision of high quality, respectful, accessible healthcare for all. In Tanzania, over 3,000 women a year develop obstetric fistula, a devastating childbirth injury caused by prolonged obstructed labor without timely access to emergency obstetric care. Women with obstetric fistula are left with chronic incontinence, and in 90% of cases their baby does not survive the traumatic delivery. Stigma associated with the condition means that women are often abandoned by their families and are isolated from their community. 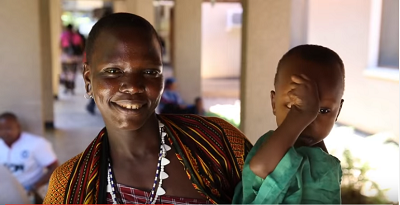 As a result, women with fistula are some of the poorest, most marginalized people in the world. CCBRT is one of the largest providers of holistic obstetric fistula treatment globally, treating over 1,000 women across seven facilities in Tanzania in 2016. CCBRT’s comprehensive approach tackles not only the physical effects of obstetric fistula, but also the psychological and socio-economic impact of this debilitating condition. The Mabinti Centre (‘Mabinti’), CCBRT’s socio-economic empowerment program, provides vocational training and mentorship to women recovering from fistula. By developing their skills in sewing, screen printing, beading, business and English, Mabinti empowers women with the tools and confidence they need to become financially independent, either through starting their own business or securing employment. In Tanzania, nearly one woman dies every hour from birth-related complications, and 20 more develop an injury, infection, or debilitating impairment. Improvements to the quality of maternal and newborn healthcare and increased access to family planning services not only save lives, but are also the most effective ways to prevent disability. We train healthcare workers, distribute lifesaving equipment, and make improvements to operating rooms and labor wards in public healthcare facilities to give expectant mothers and their newborns access to quality care during pregnancy and delivery. 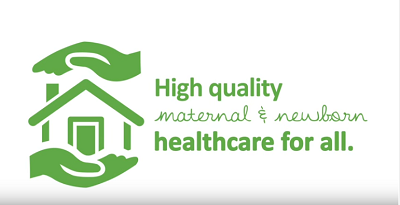 We are building a new Maternity and Newborn Hospital, a 200-bed referral facility to serve women and adolescent girls with high risk pregnancies and sick newborns. We have also helped establish a family planning clinic at CCBRT Disability Hospital, in memory of long term supporter and family planning advocate Tim Manchester. We are also supporting the integration of family planning services across CCBRT’s programs to improve clients’ access to the information they need to make informed decisions about their sexual health and reproductive futures. Approximately 3.5 million people in Tanzania live with a disability. Many impairments are treatable with surgery or rehabilitation, but many people living in poverty cannot access quality treatment, leaving them with debilitating conditions that limit their educational and economic opportunities. 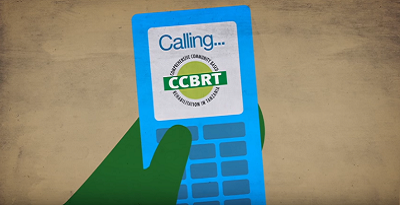 Our sister organization, CCBRT, is an expert in disability, and the largest provider of disability and rehabilitative services in Tanzania. We support CCBRT’s provision of high quality specialist treatment for a range of impairments including pediatric and adult cataract, clubfoot, orthopedic conditions, and cleft lip/palate. Children under 5 years of age are treated free of charge to encourage early referral and treatment. Early intervention limits the impact of a disability on a child’s development, enabling them to learn, grow and play without impairment. With our support, CCBRT also trains healthcare providers and supports the provision of quality services at partner healthcare facilities across Tanzania so that people with impairments can access high quality services closer to home.